Not all surgeries are performed out of necessity. Sometimes we like to improve our appearance through various different cosmetic surgeries that cost a small fortune. Some of these surgeries hit a balance between appearance and usefulness. One of the ways we can make our lives a little easier so we don't have to wear irritating contact lenses or carry around eye glasses with us is to have an eye laser surgery operation to improve our eyesight and hopefully in the process lose the glasses or contact lenses. There are other uses for the eye laser surgery but this is by far the most common. But, as with all other surgeries, there are some side effects. Let's have a look at what these are. As laser eye surgery is a not an invasive procedure, the risk of complications is small. However you should expect some eye laser surgery side effects that are unavoidable. You might experience dizziness and blurry vision and in some cases extreme sensitivity to daylight or sunlight can occur. In some cases you can feel disoriented and get headaches and pain around the eyes. Eye laser surgery is a quick, simple outpatient procedure that is performed within an hour sometimes with very little local anaesthetic and the patient still awake. After the procedure you need to arrange for someone to drive you home as your eyesight may be impaired. Often for the first 24 hours after the eye laser surgery you will experience impaired or blurred vision, which will quickly return to normal towards the end of the first day. It is also important that you don’t touch, scratch or rub your eyes in the first week or so following the surgery as it will make the eye inflamed and painful. 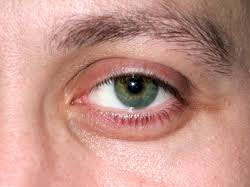 On almost all occasions you will be given a course of antibiotics and eye drops for use after the operation. For the most part these will prevent any eye laser surgery side effects and keep your eye healthy and free from any pain. If, however you do experience post operation pain, you can use regular over the counter medication to control it. Ask your pharmacist for something like ibuprofen which is an anti-inflammatory and can help with pain considerably. It is also a good idea to wear an eye patch over the eyes whenever you can especially at night to stop yourself from absentmindedly or involuntarily rubbing your eyes. Now that you’ve had eye laser surgery, you’re probably looking forward to not having to wear your glasses or contact lenses, but remember, good eye health is very important. Ask your eye surgeon about good foods you can eat to keep your eyes functioning at their best. If you need to, you can use over the counter pain medications to manage the pain associated with eye laser surgery side effects.